Ingredients: Oregano oil, 100% Pure. 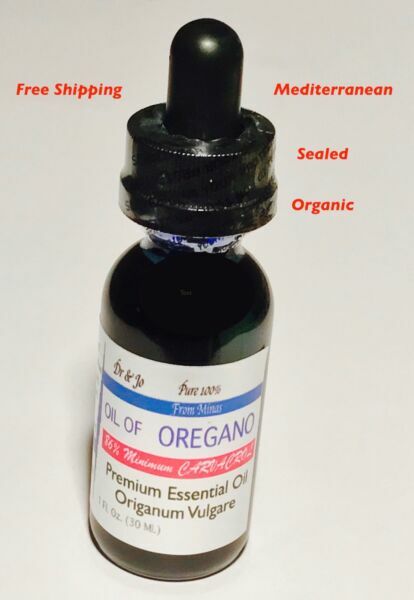 Our Oil of oregano, which is steam distilled from the flowers and leaves of the oregano plant. It is wild crafted and steam distilled That is why, this oil is one of the best quality in the market. This natural and versatile oil can be used to help defend you from infection by bacteria. Oregano oil also has antibacterial, antiviral, and anti fungal properties. · For foot or nail fungus. Put a few teaspoons of oregano oil in a basin of water and soak your feet in it. You can also dilute the oil (mix a drop with a teaspoon of olive or coconut oil), and then apply it on your nails or skin. · Some experts have advice to use oil of oregano in helping of acne and rosacea. Combine equal amounts of oregano oil and olive or coconut oil and apply it to your problem areas with a cotton swab before you go to bed. Let it soak in, but don’t use it directly on any broken skin like cuts or scrapes. · ALWAYS CONSULT YOUR DOCTOR BEFORE USING ANY HERBAL SUPPLEMENT. · DO NOT USE IF YOU ARE PREGNANT OR NURSING. recommendation about the dilution ratio, and for additional uses. Storage: proper storage conditions (cool, out of direct sunlight). Refrigeration after opening is recommended. These statements have not been evaluated by the FDA. This product is not intended to diagnose, treat, cure or prevent any disease. The supplements are not meant for pregnant women or breast feeding mothers and should always be taken after doctor’s consent. At Count Packs we are committed to providing you the most magnificent vegetable oils that are Pure, unsurpassed in color, depth, consistency, essential fatty acids and key nutrients. FREE SHIPPING WITH FREE TRACKING NUMBER FOR ALL ITEMS. Your item(s) will be shipped the same business day or next business day of confirmation of payment if received by 2:00 pm PST. (not including weekends or holidays).